The NBA Playoffs continued Tuesday night with the promise of even more great action. Could Giannis Antetokounmpo lead the Bucks to another upset win over Toronto? Would Boston wake up or would Chicago take down the Celtics once again? How much would the Jazz miss Rudy Gobert? By night’s end, those questions and more would be answered as the opening round of the NBA Playoffs continued! 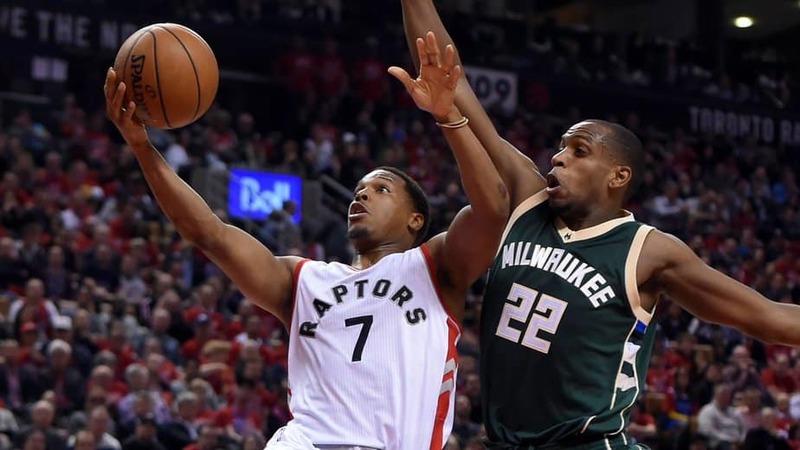 In order to beat the Milwaukee Bucks in Game Two Tuesday night, there were several things the Toronto Raptors needed to do. But chief among them was for their stars to get on track early and put some points on the board. During Game On, DeMar DeRozan did his part, but Kyle Lowry did not. But he sure made up for it in Game Two. Lowry was much more productive in Game Two with 22 points and pulling down four rebounds. His defense helped frustrate Giannis Antetokounmpo for much of the game offensively. The Greek Freak recorded a double-double (24 points and 15 rebounds) but struggled with his shot making only nine of 24. Toronto also got solid nights out of DeRozan (23 points, seven rebounds), Serge Ibaka (16 points, seven rebounds, 4-7 from three-point range), and Jonas Valanciunas (10 points, 10 rebounds) but Toronto only led by one after three-quarters. A few three-pointers quickly turned a one-point lead into a 12-point one (95-83). But the Bucks were able to battle back and tie the game up at 100-100 with a three-pointer by Antetokounmpo with two minutes to play. But the Bucks wouldn’t score again. This time around the Raptors got a much better game from their starting five than the Bucks did. Antetokounmpo and Khris Middleton had good games, but Malcolm Brogdon struggled with his shot (3-11) and only scored seven points. Game Three will be Thursday night in Milwaukee at 8 PM ET on NBATV. It is not unheard of for the No. 8 seed to upset the No. 1 seed in a playoff series. When it does happen, typically the No. 1 seed comes out in Game Two ready to dominate—but Boston didn’t do that. They began the game with some aggressive play and got off to a quick 7-0 start, but things quickly fell apart. Chicago responded with a 20-4 run to take control of the game. Chicago wasn’t able to shake the Celtics for much of the game but were able to start pulling away in the third. Entering the final quarter, the Bulls held an 11-point lead. 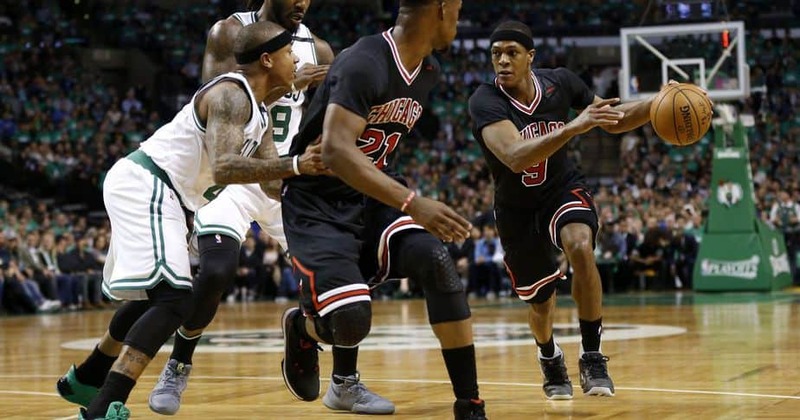 After Boston had pulled within nine points early in the quarter, the Bulls went on a 14-4 to effectively ice the game. Jimmy Butler had another solid night for the Bulls with 22 points, eight rebounds, and eight assists. Dwyane Wade added 22 points, and Rajon Rondo was a rebound away from recording a triple-double (11 points, 14 assists, nine rebounds). Isaiah Thomas led the Celtics with 20 points but struggled with his shot hitting just six of 15 shot attempts. Boston’s offense has to wake up if they are going to have any chance at a comeback—but history is in their favor. The only other No. 1 seed to fall behind 0-2 was the Phoenix Suns in 1993 (against the Lakers), and they came back to win the series. Game Three will be in Chicago Friday night at 7 PM ET on ESPN. When the Utah Jazz lost defensive centerpiece Rudy Gobert inside the first 20 seconds of Game One, few expected them to be able to pull out the win. But for some reason, the Clippers didn’t try to dominate the paint—a mistake they made sure they corrected in Game Two. Chris Paul helped get DeAndre Jordan going early in the game. By the time halftime rolled around Jordan had already recorded a double-double (14 points and 10 rebounds). The Clippers scored 34 points in the paint to 16 for the Jazz and led 51-42 (they would end the game with 60 points scored in the paint). After getting behind by 11-points after the first quarter, the Jazz won the final three, 73-70, but too much damage had been done in the first 12 minutes of the game. Utah got within six in the fourth but couldn’t close the gap. The Clippers got the kind of game they needed from their stars. Blake Griffin led the way with 24 points and five rebounds. 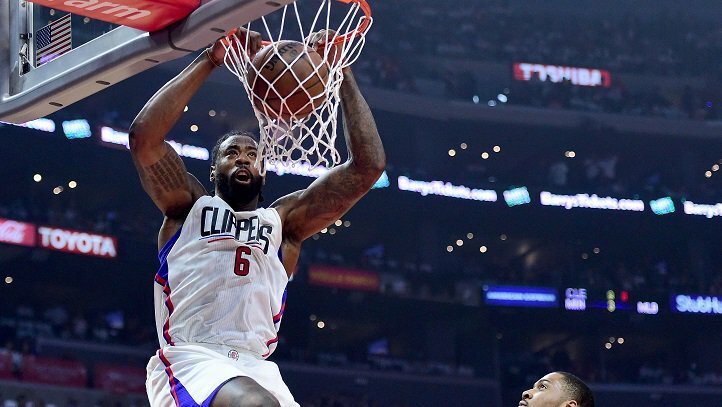 DeAndre Jordan and Chris Paul each turned in a double-double. Jordan scored 18 points and pulled down 15 rebounds. Paul scored 21 and dished out 10 assists. That would mean they have to beat the Clippers without him—which will be easier said than done. The series moves to Salt Lake City for Game Three on Friday at 10:00 PM ET on ESPN2.